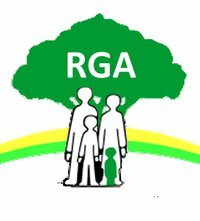 We are pleased to announce that two of our young RGA members, Amelia and Imogen Hall, recently appeared in a documentary for CBBC’s My Life series, which looks at the highs and lows of children across the world, each with a unique story to tell. Produced by the BAFTA nominated filmmakers Markthree Media, My Life: It Takes Two followed Amelia and Imogen as they pursued their dream of dancing at Blackpool tower ballroom. Keep an eye out for replays on BBC iPlayer. Well done Amelia and Imogen!